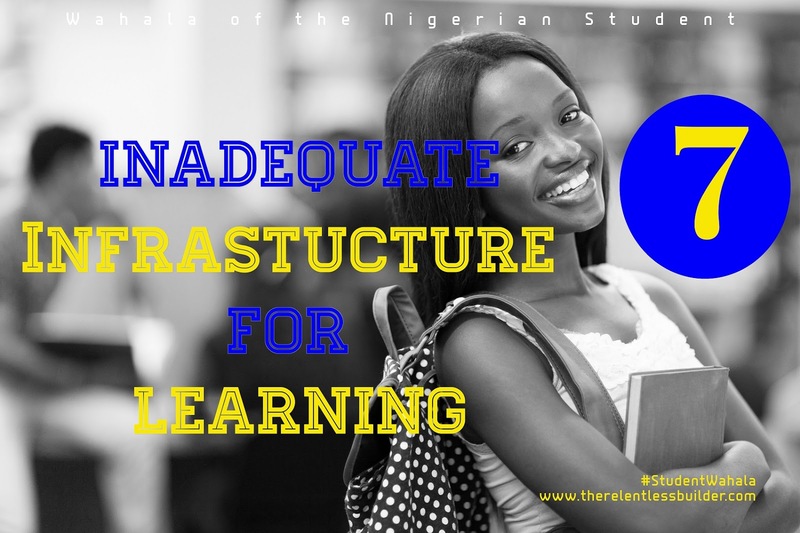 To end this series I wanted to point out a major problem Nigerian students face, i.e. lack of suitable infrastructure for learning. I think the students who are hardest hit are science students because their field of study requires necessary facilities like laboratories, etc. Can you imagine learning to dissect a frog without using an actual frog or real instruments? I certainly can't but this is just one example of the shortfalls Nigerian students face everyday. Now, like I already mentioned in Part 1 of our series, private schools usually have the funding to make up for these inadequacies, but public schools, and government-funded schools in general, are the worst hit. And unfortunately, most students attend public or government-funded schools. I doubt that increasing the number of private schools is the solution to this problem. Not everyone can afford to send their child to a multi-million naira school at any level. The obvious solution is to improve the quality of education in public schools, and you can't do that without improving the current infrastructure. And that ends our series. Thanks to everyone who participated in one way or another!